Far out there is a whole lotta deliciousness on the internet! We love seeing all the yummy things pop up in our Instagram and Facebook feeds. Serious nom action! So it’s about time we shared some of it over here on themerrymakersisters.com! Yay for guest posts! 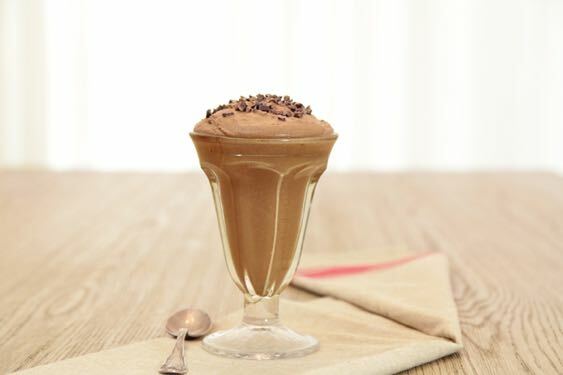 This delish Easy Mexican Chocolate Mousse recipe looks epic! We can’t wait to make it! Hello, Merrymakers! Sadie, here, from Goodies Against The Grain! I am a thirteen-year-old paleo baker & lover of food. I’m so, immensely excited to be guest posting for Carla and Emma today. 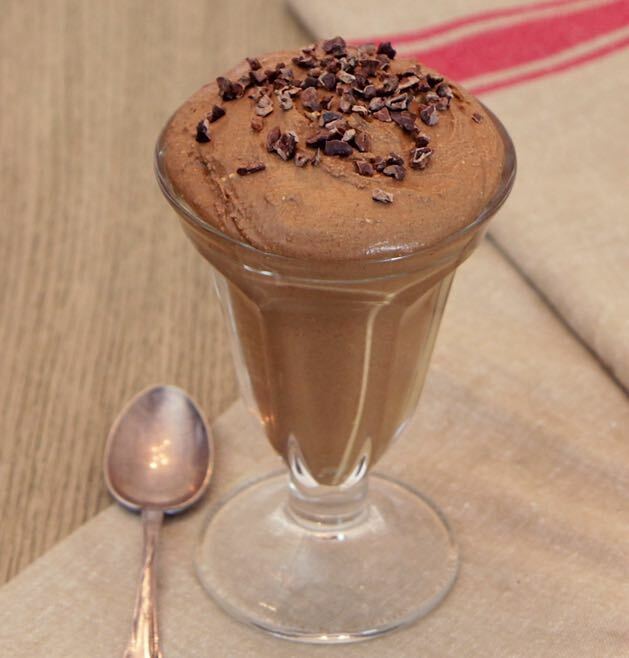 And I’ve got a really yummy, easy recipe for you all: Mexican Chocolate Mousse! It is a light and fluffy dessert with flavours of spice, sweetness, and best of all, chocolate!!! This mousse is super simple to make: it only takes ten minutes! The rest is just chilling time. Also, it’s vegan, raw, and paleo. If you get a chance, go check me out on my blog, Instagram, or Facebook, for more delicious recipes! Place all the ingredients in a large mixing bowl (except cacao nibs). are some tiny lumps of cacao. Scoop the mousse into a glass dish, cover, and place in the freezer for about 2 hours. Spoon the chilled mousse into little dishes, and serve! Top with cacao nibs, if desired. **The coconut cream comes from a can of full-fat coconut milk. Refrigerate the can overnight, then open it. Scoop off the hard, solid top layer, to use. Discard the clear liquid at the bottom.